Michael Dowling, Northwell Health's CEO, believes we're entering the age of smart medicine. The United States health care system has much room for improvement, and big tech may be laying the foundation for those improvements. Technological progress in medicine is coming from two fronts: medical technology and information technology. As information technology develops, patients will become active participants in their health care, and value-based care may become a reality. Big tech is making its opening moves into the health care scene, but its focus on tech-savvy millennials may miss the mark. Companies like Apple, Amazon, and Google have been busy investing in health care companies, developing new apps, and hiring health professionals for new business ventures. Their current focus appears to be on tech-savvy millennials, but the bulk of health care expenditures goes to the elderly. Big tech should look to integrating its most promising health care devise, the smartphone, more thoroughly into health care. What does telemedicine look like? Dr. Maurice Cates, Orthopedic Surgeon, conducts a live Orthopedic consultation remotely by video with a patient. The navigation tool has placed a school in the sea, among other things. Google has apologized for the sudden instability of its maps in Japan. Errors may stem from Google's long-time map data provider Zenrin – or from the cancellation of its contract. Speculation on the latter option caused Zenrin shares to drop 16% last Friday. Watch these six dots move across the map and be moved yourself: this is a story about coming of age, discovery, hardship, death and survival. Each dot is a tag attached to the talon of a Swainson's Hawk. We follow them on their very first migration, from northern California all the way down to Argentina. After one year, only one is still alive. Image: @TrackingTalons, found here on imgur. 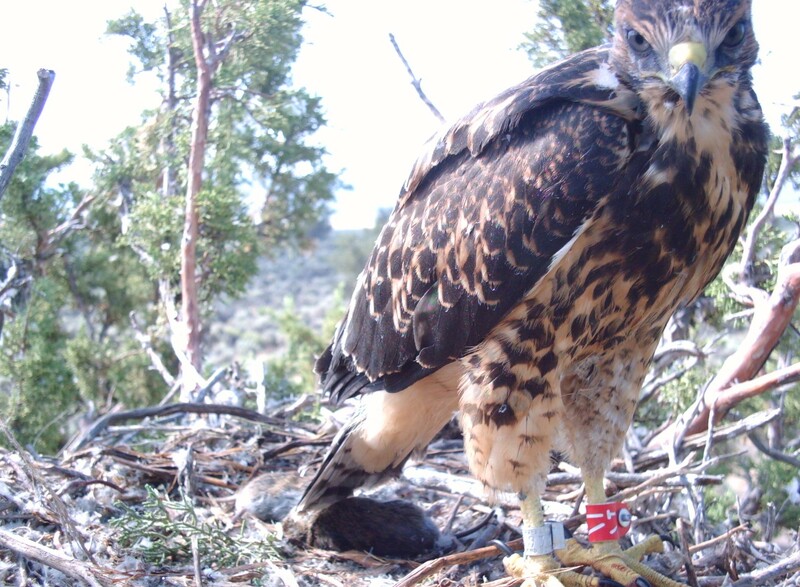 A Swainson's hawk, with tracking device. This old lady is 27 years old, but still nesting. Migration trajectory of B95, the 'Moonbird'.